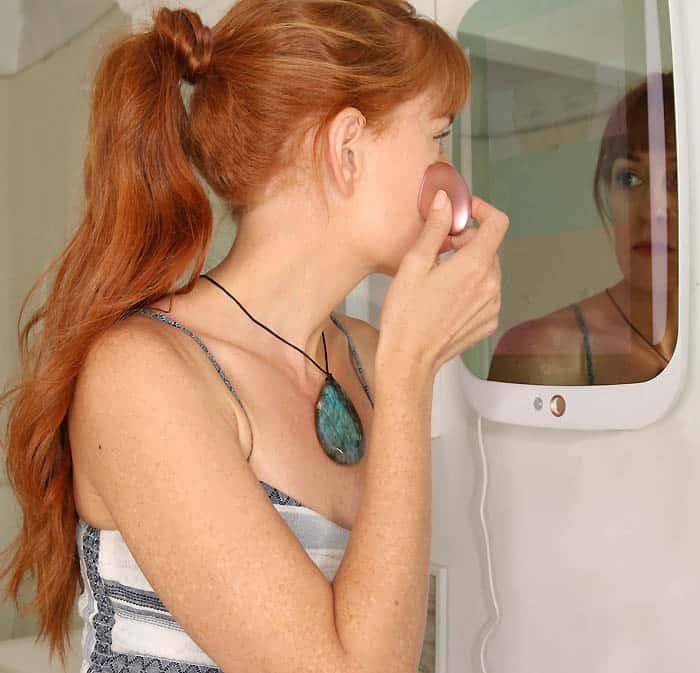 The HiMirror is a groundbreaking device that combines a mirror with a computer. It’s a total skin care consultant plus so much more! 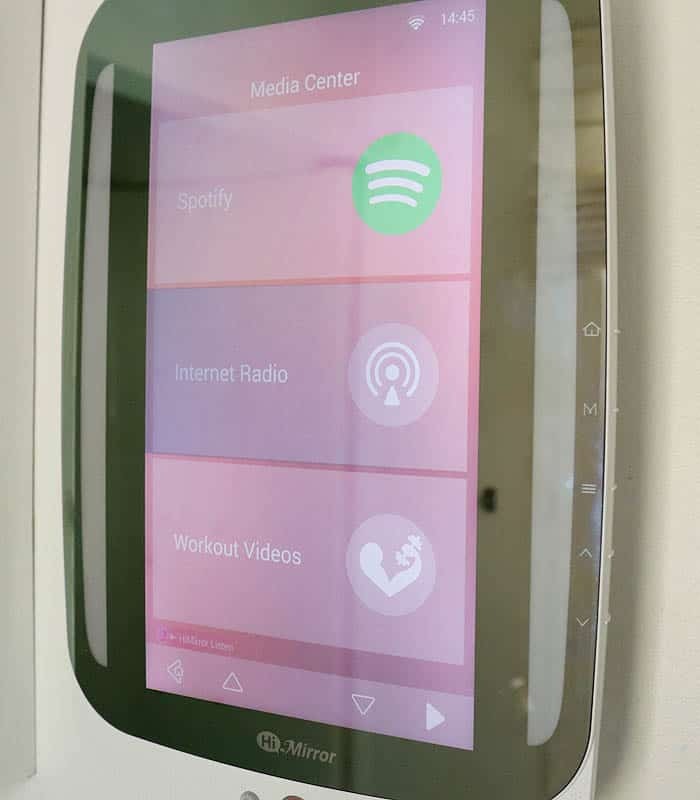 The HiMirror is like something from the future- I’ve never seen anything like this. It’s seriously impressive! I’m going to take you through the set-up, some of the features and explain why the HiMirror has totally upgraded my skincare routine. 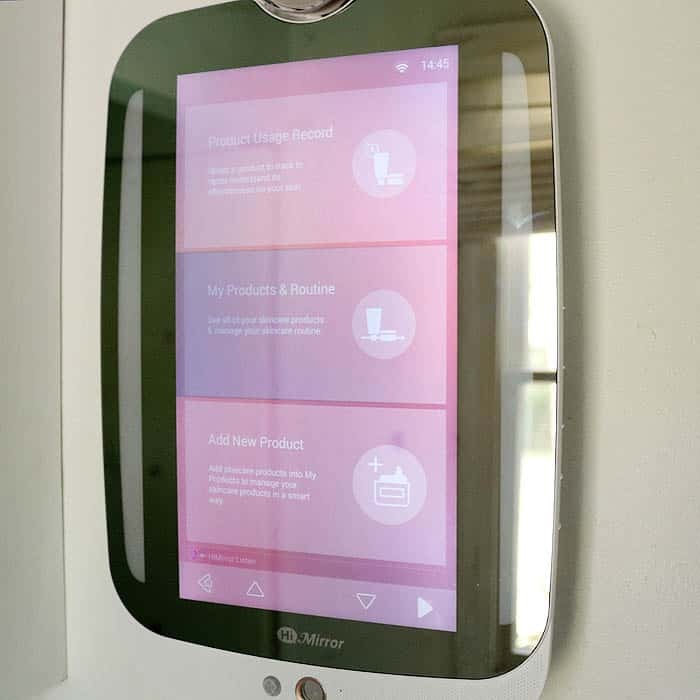 The HiMirror is the world’s first mirror that can actually help analyze your skin and track your skincare to judge its effectiveness. Ever wonder if that new skincare product is actually working? HiMirror will let you know! The HiMirror comes in two different versions- the HiMirror and the HiMirror Plus. The one I’m reviewing for this post is the HiMirror Plus. The HiMirror plus has all the same features as the original plus a bunch of others I’ll explain below. Smart ambient makeup light- the LED lights feature 5 different lighting scenarios- everything from sunny day to restaurant! More Memory- the HiMirror Plus can store 6 different log ins- so you can share it with your family/roommates. Faster- the HiMirror Plus moves data at twice the speed of the original. 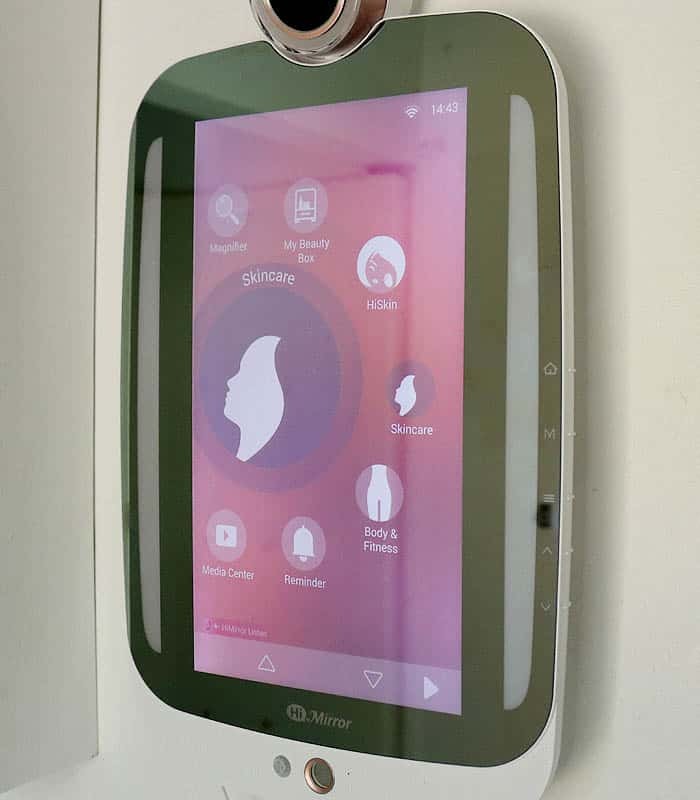 More ways to control- you can use hand gestures, a remote or voice commands to control the HiMirror Plus. The mirror is so easy to mount, anyone can do it! You have the option of mounting it on the wall or on top of a mirror (like a large bathroom mirror) If you’re mounting the mirror on top of an existing mirror there is a super-strong adhesive backing. If you’re mounting the mirror on a wall you can use the adhesive backing or the included screws (or both!). The mirror only weighs 5 lbs. The amount of features HiMirror has is amazing!!! I’ve been using this for weeks and I’m still discovering new things! HiSkin- this is an hand held analyzer that works in conjunction with the HiMirror Plus. You press the button and hold it against your face and it gives you a full analysis. It can even detect if your skin needs extra hydration! The HiMirror regularly $299 and the HiMirror Plus is regularly $369…but there’s a huge sale going on right now! The HiMirror (bundled with a remote control) is $149 with free shipping and the HiMirror Plus (bundled with a remote control) is $229 with free shipping. The HiMirror is a great beauty investment. 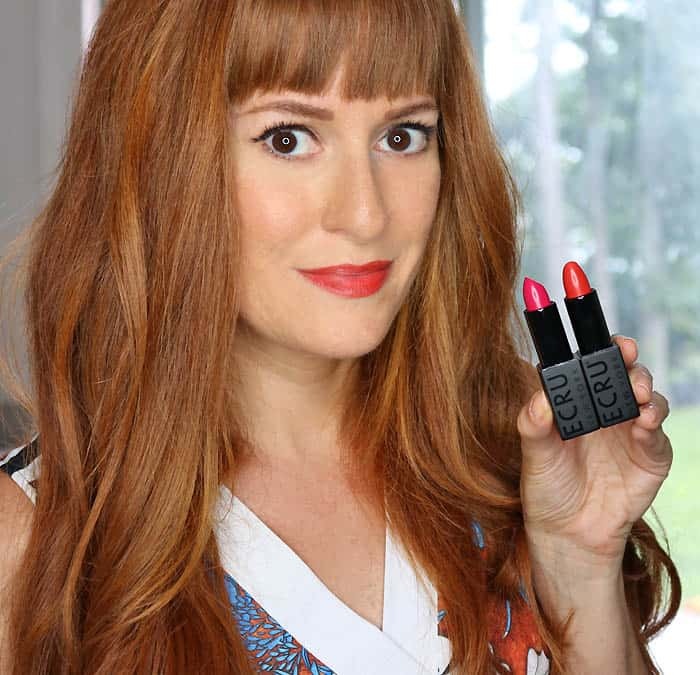 It can help you understand your skin and what it needs better than you could have imagined! I hope this answered some of your questions about the HiMirror Plus. Let me know if there’s anything else you’d like to know!